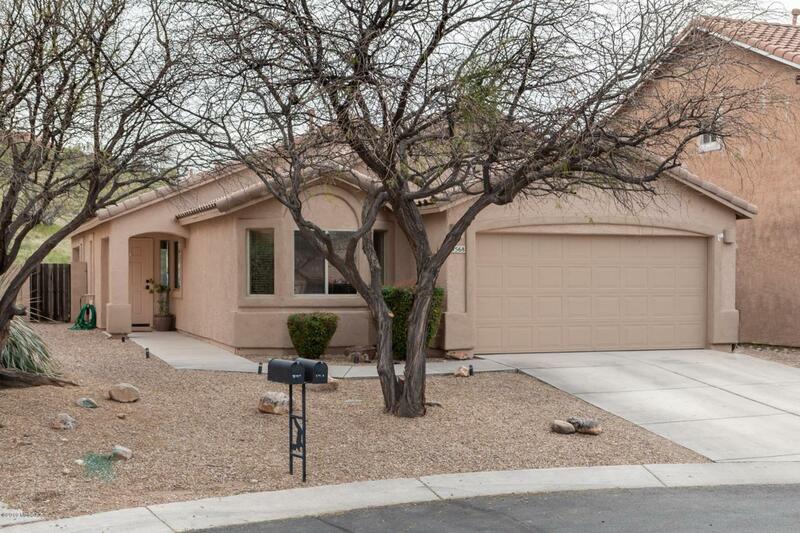 Beautifully updated 4 bedroom, 2 bath home with gorgeous mountain and desert views in the lovely Eagle Crest Ranch neighborhood! 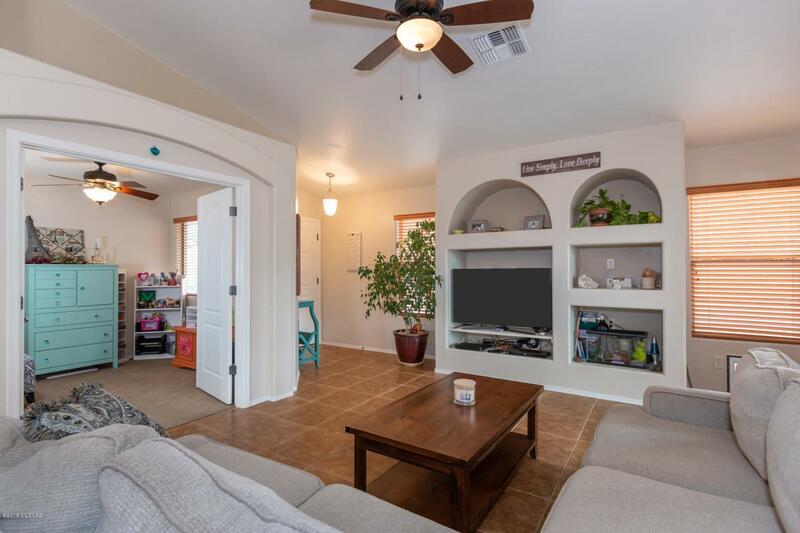 The home sits on a prime lot adjacent to common area with no rear neighbors on a quiet cul de sac. The kitchen is nicely upgraded with granite counters, an island with breakfast bar, and stainless-steel LG appliances, including gas cooktop. 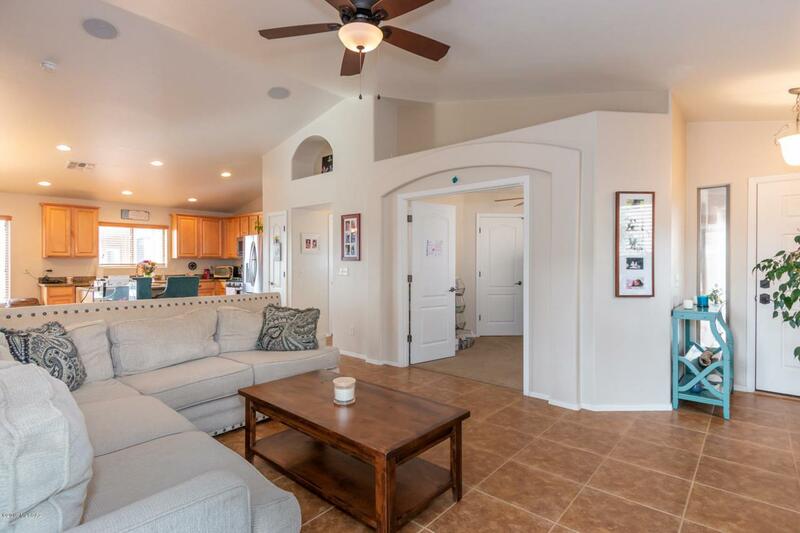 Other upgrades include tile flooring in all living and ''wet'' areas, granite counters with undermount sinks in both bathrooms, ceiling fans in all bedrooms, and surround sound speakers in the great room and back patio. 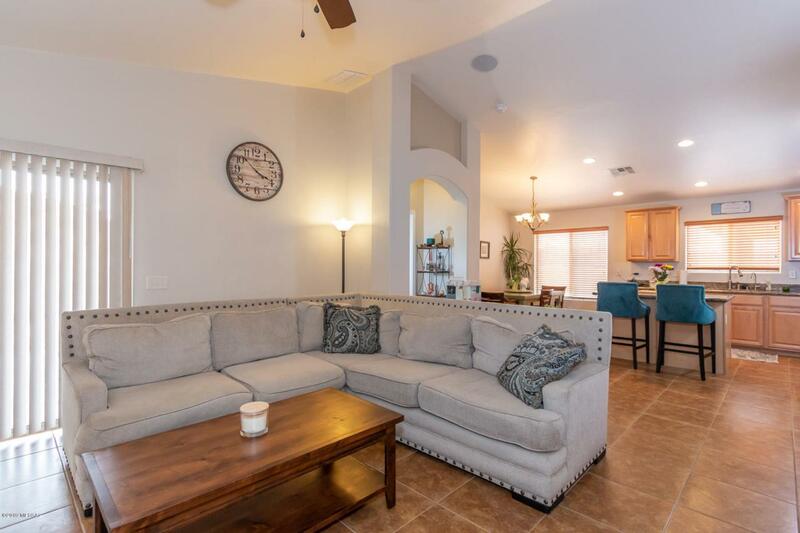 Relax with a peaceful Arizona sunset on the covered patio in your private, low-maintenance backyard! Reverse osmosis water softener. Water heater replaced 2019.